I'm sure everyone is familiar with the fun crisp that is Pom-Bear. I remember when I was little I'd always beg my mum to buy me them because crisps taste better when they are shaped like bears apparently! Almost 20 years later and my own two children have discovered the wonderfulness. If you have been living under a rock, Pom-Bear are potato snacks shaped like bears and they are available in Original, Salt & Vinegar, Cheese and Cheese & Onion and they melt beautifully in your mouth. They are also gluten-free and contain no artificial colours or flavours. Thanks to the lovely people at Pom-Bear, I have some fab prizes to give away to my readers. 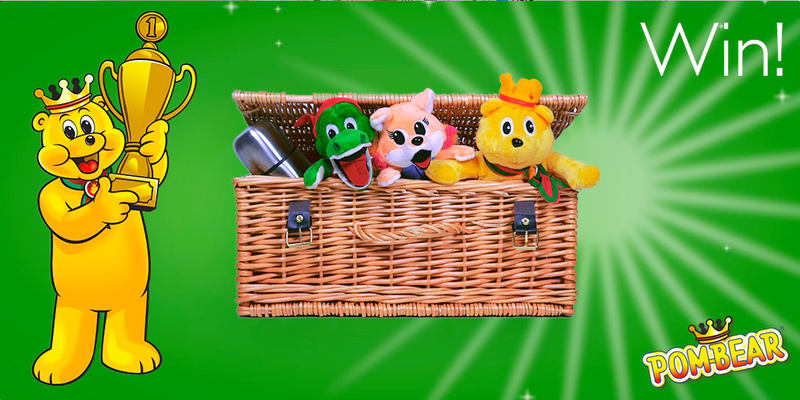 The first prize is a winter hamper. The second prize is a cosy goody bag. The third prize is a set of of Pom-friends. Prize contents may vary from those pictured. To be in with a chance of winning all you have to do is fill in the Rafflecopter widget below. Prizes will be allocated in the order that the winners names come out. The giveaway will run from October 16th until October 30th. Three winners will be chosen, each prize will be allocated by the order the randomiser gives the names out. Prize will be sent directly from the PR, please allow 28 days for delivery. 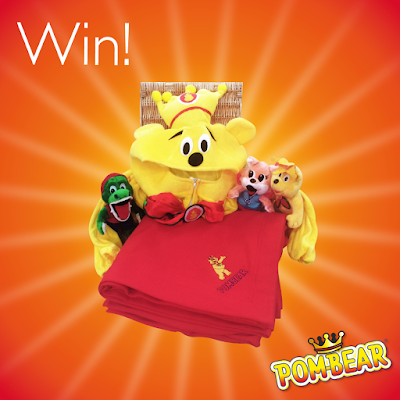 185 comments on "Pom-Bear Giveaway "
Love Pom Pom bears, the original are the best flavour. Yes I have, i've been eating them ever since I was little! My favourite flavour is the Original! Yes - I like cheese and onion best! The original red salted flavour is the best! Love pom bears- the original is my favourite! We have. A favourite in our house! We all love the red (ready salted) one. I love Pom Bears, especially ready salted or cheese and onion. I love pom bears my favourite being the original flavour. Yes, they are very moreish! I love the ready salted! I've tried them - and I LOVE the cheese and onion ones! I've only tried the plain flavour. They were delicious. Yes! I love Pom-Bear. My favourite is original you just can't beat it. I've never tried them but they sound great! No, I haven't tried them yet, but I'm sure I will soon, when my niece starts to wean. I love the originals, so nostalgic! i like the plain pombears. I haven't tried them but would like to. I love the cheese and onion pom bears, so yummy. Thanks for the lovely giveaway. I haven't tried Pom-Bears but I'll buy my 'niece' some at the weekend. The plain flavour are just so super!! LOVE THEM. my favourite is the ready salted flavour. I love Pom bears. Love the original ones. Yes, my favourite is cheese and onion. I love the original pombear... And my son loves them too. Not tried shy of the other flavours yet but going to look out for salt n vinegar ones - they sound delicious! I love the cheese and onion yum! I've never tried Pom Bears, but they sound really nice. I love the original pom bears! I've only tried the original plain flavour. Thoroughly enjoyed them. We love the cheese and onion flavour. Salt and vinegar for me! Love them all! As do my little ones. I just love the 'red' ones - ready salted all the way! 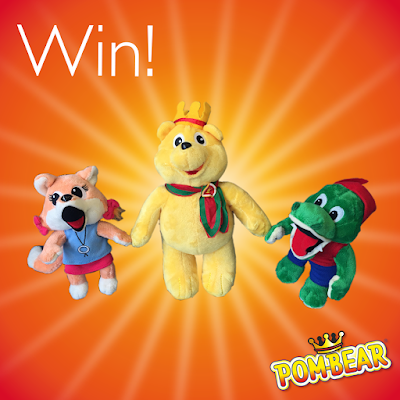 We love Pom Bears! Original flavour, mostly. The original flavour are the favourites in our house! Yes, I love the Cheese and Onion. Original is our favorite both me & my little girl love them. Yes, the children like all of them but I sneak an occasional salt and vinegar. Cheese and onion are my favourite flavour but any that are bought into our house gets demolished in no time thanks to our 3 kids :D I just help out a bit, honestly! ORIGINAL AND BEST! Cheese and onion a close second. I've never tried them...I'm missing out! But as I look at my not so little anymore prem baby I'm going to have to give them a go! You can't beat the Original Pom Bear flavour! A winner in our house everytime! I've only tried the original ones but I enjoyed them!